France shows delaying retirement can delay dementia in a big way. Learn about the importance of maintaining high cognitive & social stimulation throughout work and retired life. Some research has suggested that intellectual stimulation and mental engagement throughout life may be protective against Alzheimer's disease and other dementias. In an analysis of health and insurance records of more than 429,000 self-employed workers in France, reported at AAIC 2013, Carole Dufouil, Ph.D., director of research in neuroepidemiology at INSERM (Institut National de la santé et de la recherché médicale) at the Bordeaux School of Public Health, and colleagues found that retirement at older age is associated with a reduced risk of dementia. The researchers linked health and pension databases of self-employed workers who were living and retired as of December 31, 2010. 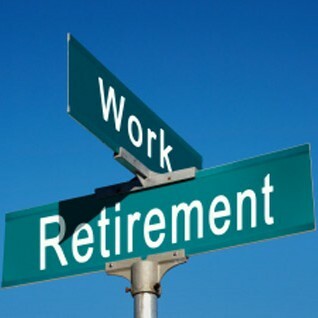 Workers had been retired on average for more than 12 years. Prevalence of dementia in this group was 2.65 percent. 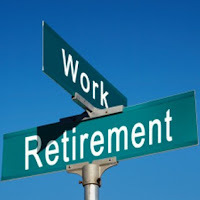 Analyses showed that the risk of being diagnosed with dementia was lower for each year of working longer (i.e., higher age at retirement) (hazard ratio of dementia was 0.968 (95 percent Confidence Interval = [0.962-0.973]). Even after excluding workers who had dementia diagnosed within the 5 years following retirement, the results remained unchanged and highly significant (p< 0.0001). "Our data show strong evidence of a significant decrease in the risk of developing dementia associated with older age at retirement, in line with the ‘use it or lose it' hypothesis," said Dufouil. "The patterns were even stronger when we focused on more recent birth cohorts." "Professional activity may be an important determinant of intellectual stimulation and mental engagement, which are thought to be potentially protective against dementia," observed Dufouil. "As countries around the world respond to the aging of their populations, our results highlight the importance of maintaining high levels of cognitive and social stimulation throughout work and retired life, and they emphasize the need for policies to help older individuals achieve cognitive and social engagement. The study was also coordinated by the International Longevity Center-France (Head: Prof. Françoise Forette). Alzheimer's Association International Conference®(AAIC) in Boston is the world's largest conference of its kind, bringing together researchers from around the world to report and discuss groundbreaking research and information on the cause, diagnosis, treatment and prevention of Alzheimer's disease and related disorders. As a part of the Alzheimer's Association's research program, AAIC serves as a catalyst for generating new knowledge about dementia and fostering a vital, collegial research community.